There was a time when a SIM card was the size of a credit card, and GSM phones had an ATM-like slot in which to slide it, before they were refined down to a much smaller size — called the mini-SIM — in the mid-90s. Apple then boosted the popularity of an even smaller card, the micro-SIM, when it introduced the iPhone 4 and the first iPad a few years ago, as the company wanted to fill as much of the space inside the phone with tech, rather than useless pieces of plastic. Other manufacturers, including Nokia, who uses the micro-SIM inside its Lumia Windows Phones, also use the smaller card. You may have thought this was the final stage in the SIM card’s development, but now, after months of discussion, the European Telecommunications Standards Institute has approved a fourth generation of SIM module, affectionately known as the nano-SIM card. The final design comes after a fierce battle, primarily between Apple and Nokia, who both submitted designs to ETSI, with Apple coming out victorious. Nokia made it clear it wasn’t pleased with Apple’s SIM card design, which at first appeared to need a tray to hold it inside a device, and warned that it would withhold any relevant patents it owned if it was chosen. Although SIM cards aren’t very exciting, their shape and size can influence the design of future phones, and it could be seen as an advantage for a manufacturer to have its design adopted as the industry standard. According to the Financial Times, Apple subsequently modified its card to avoid having to use a tray, and that there is now little to differentiate between the submissions. The new SIM will perform exactly the same function as the old one, and contains no new features, but is 40-percent smaller than the current micro-SIM. It measures 12.3mm x 8.8mm x 0.67mm, and is essentially all chip and no plastic surround. 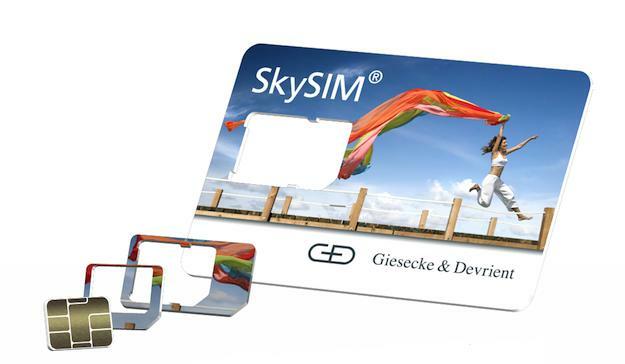 The example pictured above isn’t the final design, but one from G&D, the company which originally invented the SIM card. It’s probably too late for Apple to incorporate the new nano-SIM card into the next generation iPhone, but it’s possible we could see it in the next generation iPad, and the next-next generation of iPhone. Nokia — still smarting from its loss — believes the micro-SIM will continue to be the industry standard for a while yet though. This is understandable, as Nokia was originally behind the micro-SIM’s introduction. ETSI says the tiny new card will result in smaller and slimmer phones, but judging by the progress made in one of these areas by various manufacturers recently, it’s hard to imagine just how much slimmer phones need to be. How about the extra space is used for a bigger battery instead? Sophisticated Flame virus takes malware to a new level, now what?